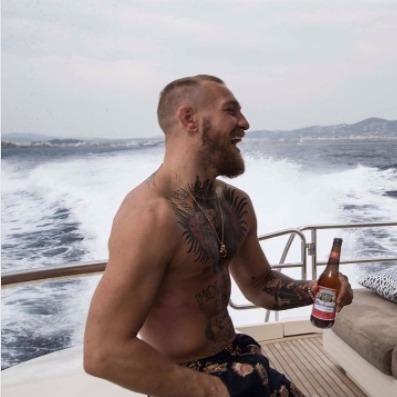 McGregor toasts McClean after he led his country into the World Cup play-offs with an unlikely win against Wales. The West Brom winger scored the only goal of the game to knock rivals Wales out of the tournament and give Republic of Ireland a real shot of reaching Russia. Celebrating Ireland into the World Cup playoffs tonight! Congrats to the boys in green, especially young Jimmy McClean.